Spring into action with G.U.D. During spring there is an increase of pollen and dust in the air causing hay fever and respiratory problems. Keep your customers and their family healthy this spring by replacing their car’s cabin air filter. This ensures the air they breathe is clean and free from harmful impurities. 1) Clean air – Passengers are protected from engine fumes and odours that enter the cabin of the car through the ventilation system. 2) Better air conditioner performance - Replacing a vehicles cabin air filter will: Optimize the performance of the air conditioner; keep fuel costs down as less fuel is needed to run a clean air conditioner. 3) Clear windscreen and windows – A clean cabin air filter prevents the misting up of car windows. 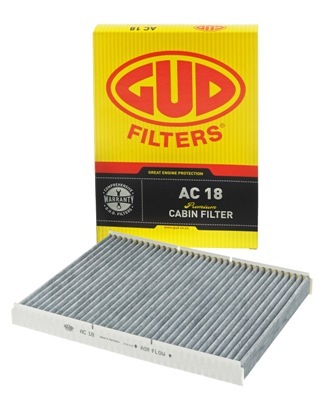 We recommend that cabin air filters are replaced every 15000kms or once a year. Our extensive range of cabin air filters are manufactured to OEM quality standards and are available for various makes and models of vehicles on SA’s roads.